Today's final Handmade Holiday giveaway is from an Etsy shop that I've only known about since October; I've been infatuated since the moment I saw it. It's no doubt that tag team tompkins letterpress prints are simply perfect. Black + White. Letterpress in the spirit of vintage paper cuts. 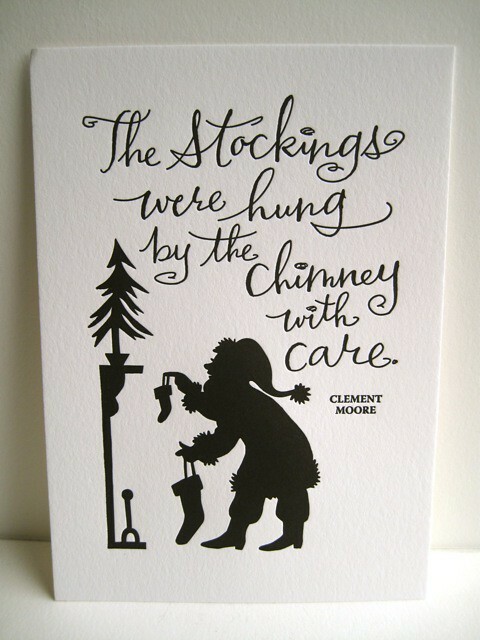 Charming quotes for the everyday + holiday quotes for festive decor. Beautiful calligraphy + handmade goodness. Love, love, love. Diane and Madeline make paper art that centers around word play. Our original hand-lettered and paper cut designs and letterpress art prints let us express our love of paper, ink, and a bit of wisdom or humor. We blend our midwestern sensibilities with a global itch. Travel near or far lights our imagination. We partner well together from years of practice, being mother and daughter. This mother-daughter pair are working hard to crank out new designs all the time. I've already purchased several prints for our new home and I know exactly where they will go. Thank you Diane and Madeline for sharing your creative talents with us all! tag team tompkins is kindly offering a set of the four prints pictured above to TWO lucky Narrating Life readers! Each print measures 5 x 7.
:: Check out the great prints in the tag team tompkins Etsy shop. :: Please leave a comment on this post. Which letterpress print is your favorite? I love this one, and this one, and this one. :: Grab a Handmade Holiday button and post it on your blog/website for an extra entry. Please leave an additional comment letting me know you did so. Congratulations Michelle & Debby. Please email me ASAP to claim your prints! 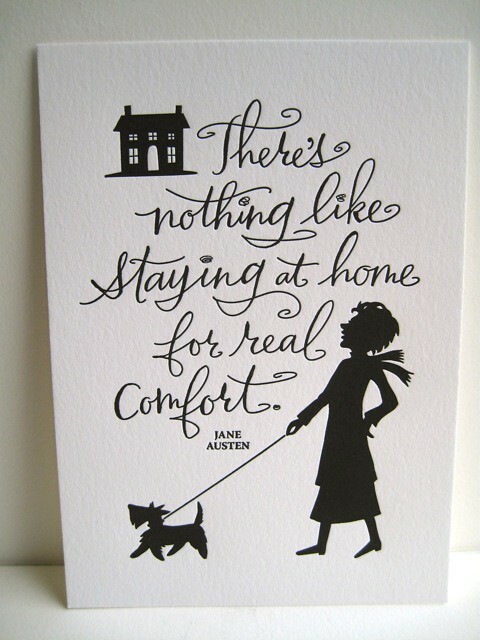 I have to say I love the Jane Austen quote! But the Charles Dickens 'Keep Christmas all year' one is pretty sweet as well! I love two of them...the comfort one you posted above and the setting sail one! They are really so beautiful! The ladies are so gifted! I like "let's see which way the wind blows"
I love "I'm not afraid of storms. for I'm learning to sail my ship". beautiful. These are so beautiful! I've had my eye on them since the last time you posted about the shop. I love the Ralph Waldo Emerson quote one. Ack! I need the beer one immediately! i love all of these! also, my daughters' names are madeleine and diane (named after my mom), so this duo already holds a special place in my heart. I love the Jane Austen one, and the one about not being afraid of storms. These are all great! Oh, I love that Bah Humbug one. It needs to be mine! This is a new to me shop and it is incredible. I do have a thing for "Who loves me will love my dog also." - simply perfect! Or the Jane Austen one. I am a sucker for all things Austen. 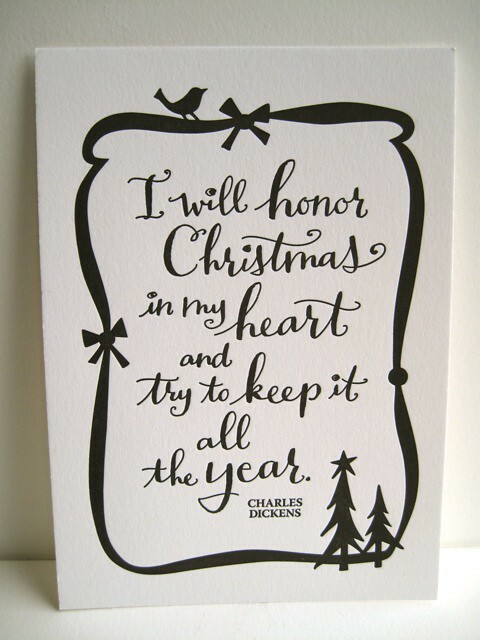 I love the "I will honor Christmas in my heart" quote. Beautiful prints - thanks for the giveaway! love the one about something wicked this way come.....love Halloween and the Spirit of Christmas which also needs the Bah Humbug as well. So many that I love and to choose from. Can't post the button on my blog because I don't have one. I'm with Bethany! I love the beer one. I love these! The "Lost time is never found again" one is perfect. Thanks for the chance to win!! these are really very lovely. thank you for highlighting them on your blog. i quite like the stockings were hung and the something wicked this way comes....and nice yin and yang! cutest things ever. i looove the one that says i'm not afraid of storms. for i'm learning to sail my ship. Love these! I think the collection of 4 would be great framed & hung together. I love the Bah Humbug one! I'm a sucker for Austen as well as Ralph Waldo, although I do rather love the Bah Humbug. I think I've had the Dickens' quote one in my shopping bag since Marta posted about them. I love the new Christmas ones-- I hadn't seen them yet! These are amazing! The Christmas ones are great - so are the beer and wine ones! My favorite is "Who loves me will love my dog also." Gosh, it's hard to choose a favorite! Love so many of them. I find the dire warnings to be so cute. 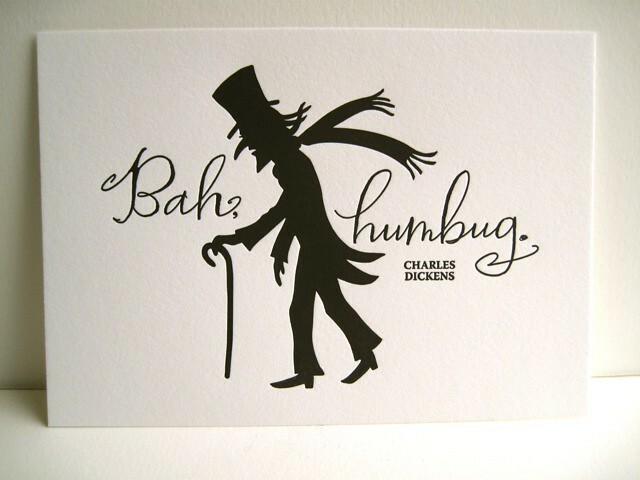 And I'm strangely attracted to the bah, humbug one - even though I don't usually feel that way! Forgot to say that I have your button.